The Serafina Group proudly services northern Broward County and southern Palm Beach County in South Florida. We specialize in Coral Springs, Parkland and Tamarac. Our agents are members of the Greater Fort Lauderdale Realtor Association which includes the Florida Association of Realtors. We are members of the Tamarac/North Lauderdale Chamber of Commerce. 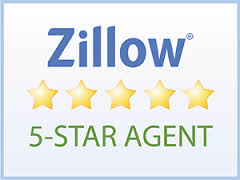 We provide sellers and buyers top-notch, professional and personalized service. Please contact us with any questions you may have! You can call Sandra Milo, Broker/Associate at 954-994-9316 or email us at info@theserafinagroup.com. That said, in our experience as Florida real estate professionals, we've also found that providing the very best service is essentially about putting our customers first. This means keeping ourselves accessible, being a good listener as well as a good communicator, and responding quickly to your needs. This "customer first" philosophy has always been our approach and it requires us to continually improve our skills and ways of doing business. In addition, we've found that the latest technologies are enabling us to do everything we've always done, only much more quickly and efficiently. They've also helped us to extend the range of services we provide to our clients. So when you decide to buy or sell a home in the Broward County or South Palm Beach County, please contact one of Serafina's wonderful team of agents!